It is available as a dilutable concentrate (recommended for dilution between 1:10 and 1:40). 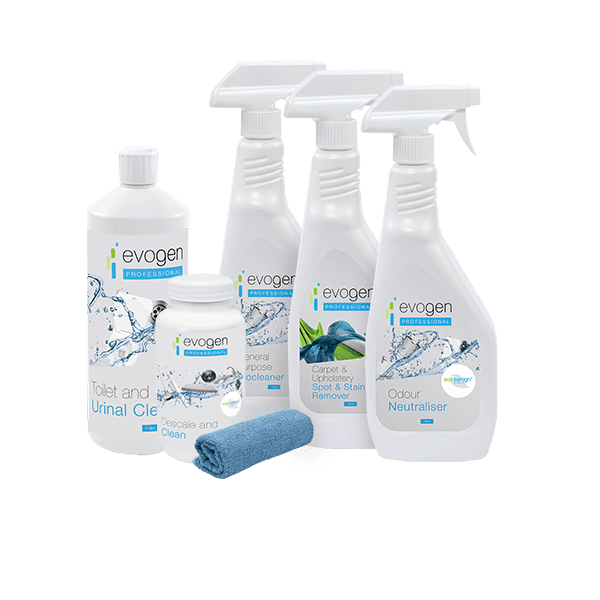 Evogen Professional Exterior Hard Surface Cleaner is a unique liquid concentrate for exterior building cleaning, combining innovative eco-benign® chemistry and application-specific bacteria to offer an effective way of cleaning a wide variety of exterior surfaces. Ideal for concrete, glass, brick, stone and cladding cleaning. 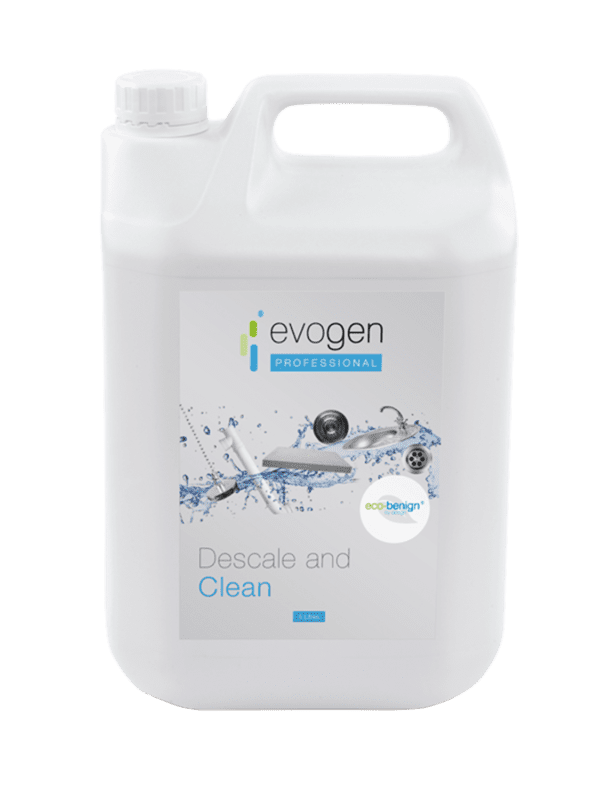 Evogen Professional Exterior Hard Surface Cleaner contains an effective blend of Bacillus organisms, selected specifically for accelerated degradation of organic material that builds up on hard surfaces overtime. 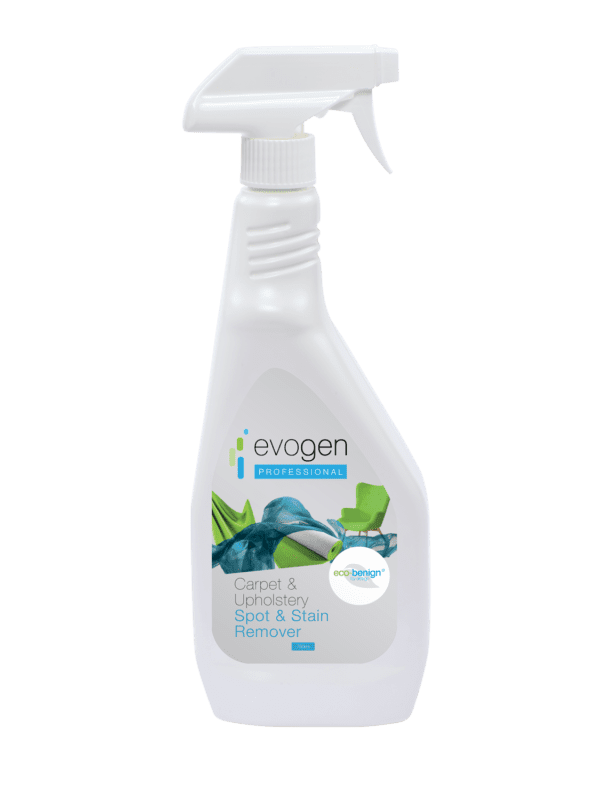 Continued use of Evogen Professional Exterior Hard Surface Cleaner in residential, institutional and industrial applications provides a safe and efficient way of cleaning, deodorising, and removing stains on hard surfaces and continues to work whilst soiling is present. 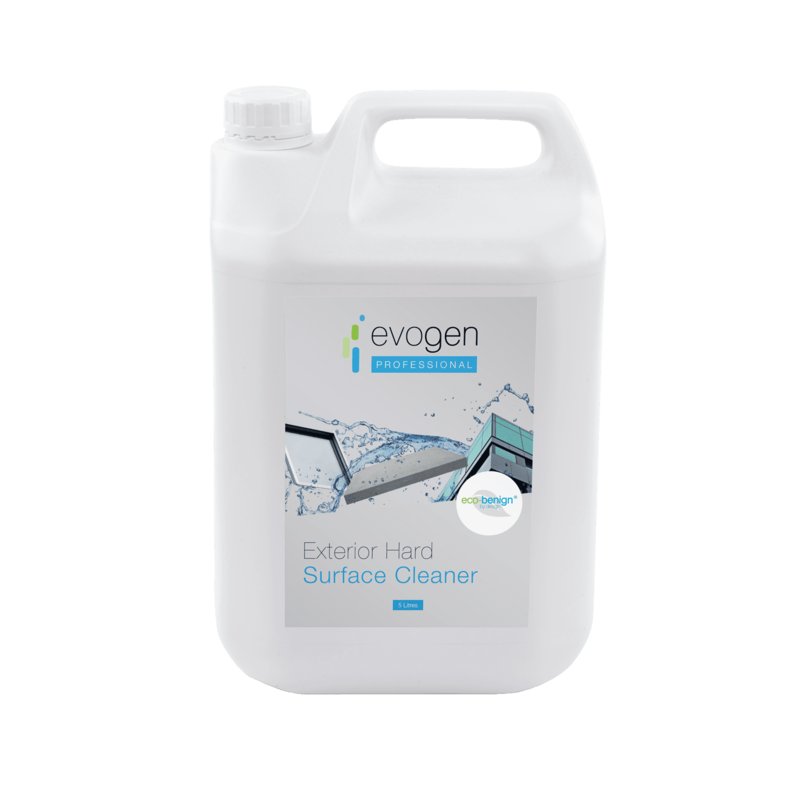 Evogen Professional Exterior Hard Surface Cleaner is available as a dilutable concentrate (10X). Dilute in water at a rate of between 1:10 to 1:40. Apply to the area to be cleaned, agitate and then rinse with water. Repeat on any stubborn stains as necessary. Optimised application-specific bacterial consortium: Degrades a broad spectrum of substrates – including grease, fats, proteins, starch and complex carbohydrates.